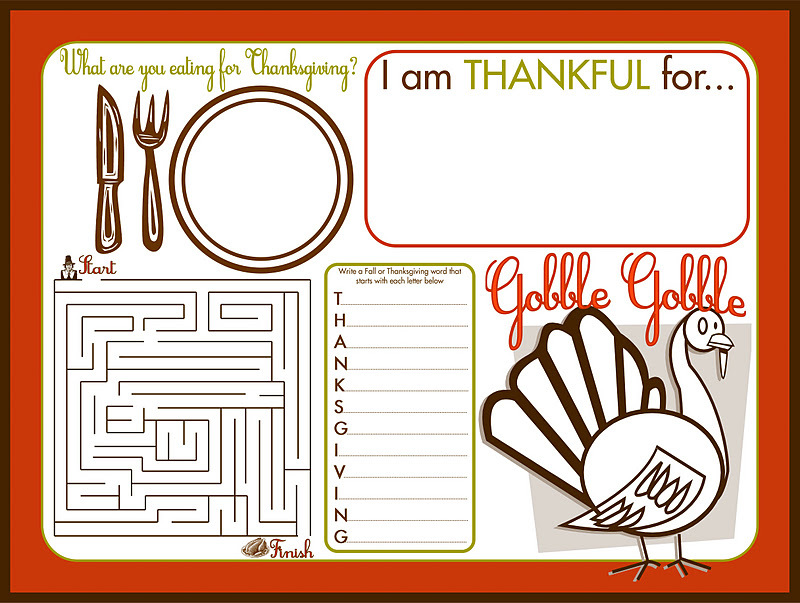 Check out this adorable Thanksgiving Activity Place Mat Printable for children! 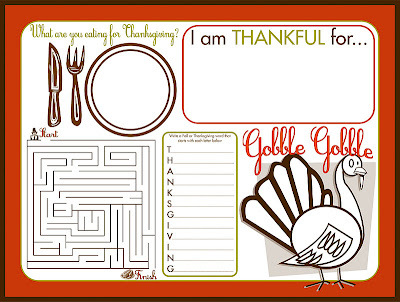 It is a perfect last minute addition, to keep the kids table occupied this Thanksgiving dinner. Just click, print, and pass out some crayons.